Celebrate this Mother’s Day with our Photo Fest on Saturday 5th March from 12noon to 5pm. 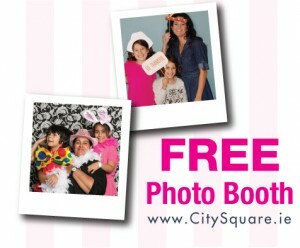 A FREE photo booth will be available on the mall with props for that memorable Mother’s Day photo. Plus our DJ will be doing games and giveaways through the afternoon. There will also be free face painting to ensure children look their very best for the photos! Prizes range smoothies for Jump Juice, hampers worth €100 from Golden Spiderweb, five gift cards from Peter Mark for a pop colour and blow dry, a chocolate cake from Amandine plus lots more. Join us.